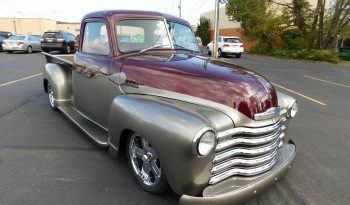 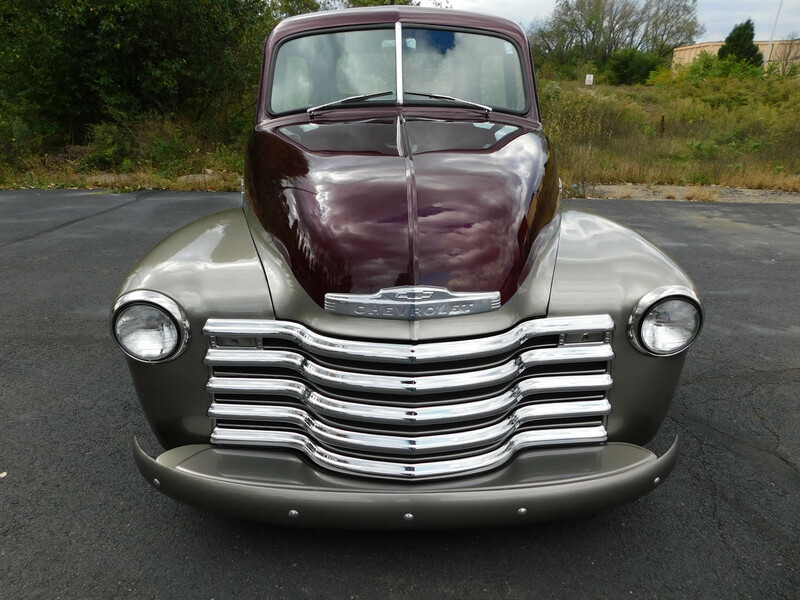 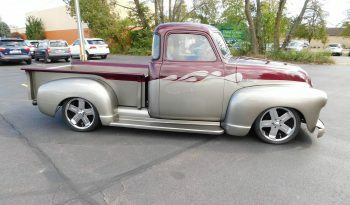 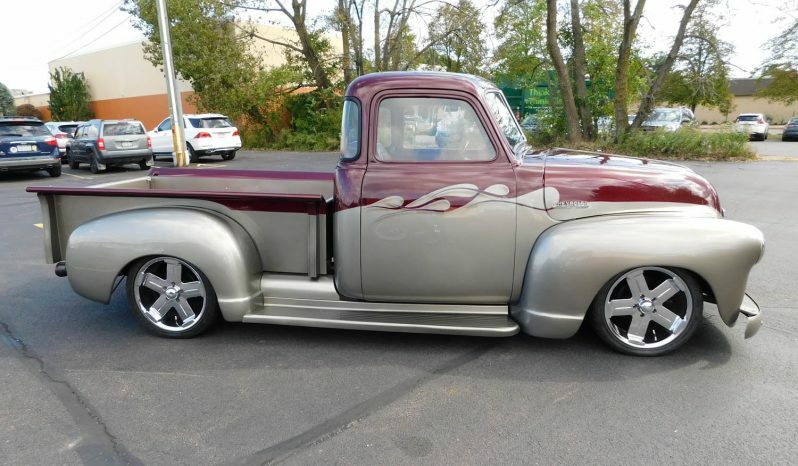 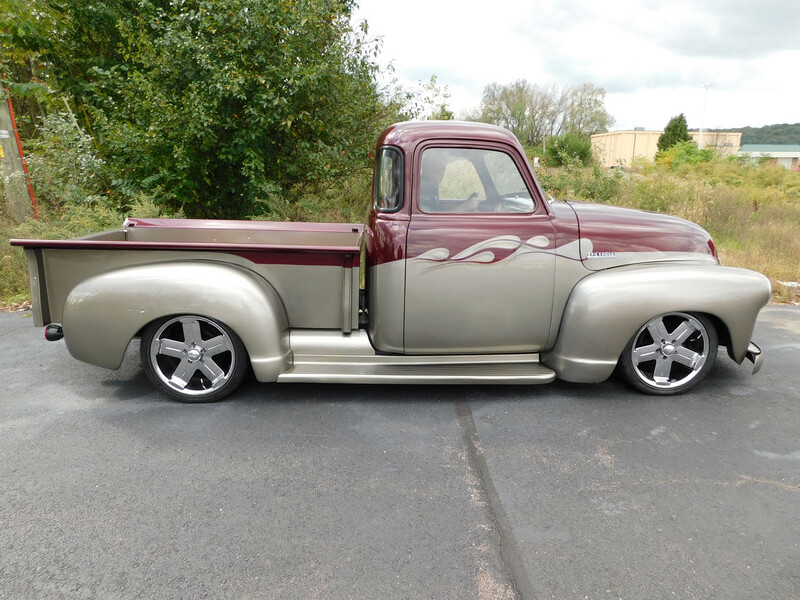 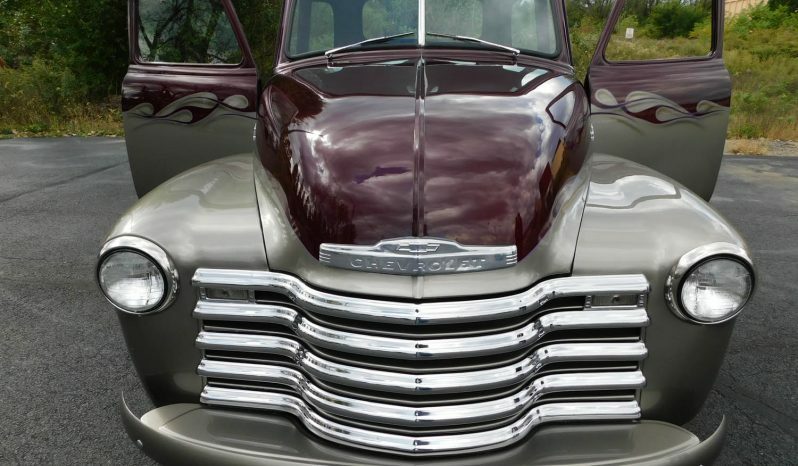 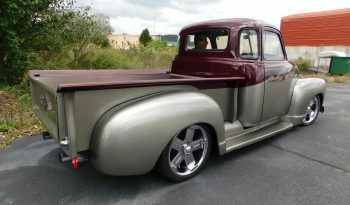 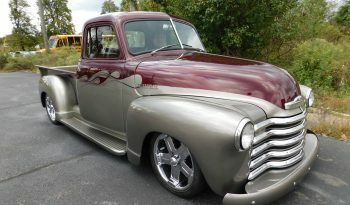 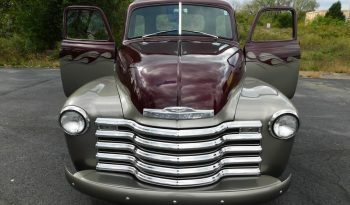 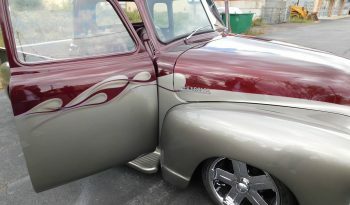 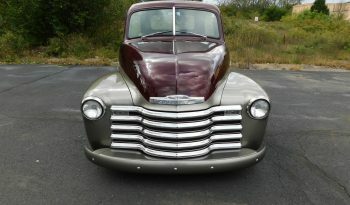 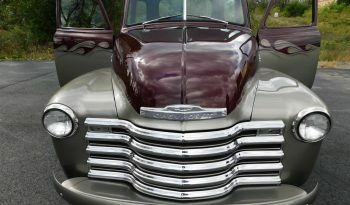 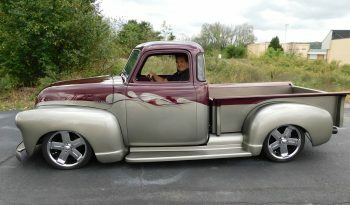 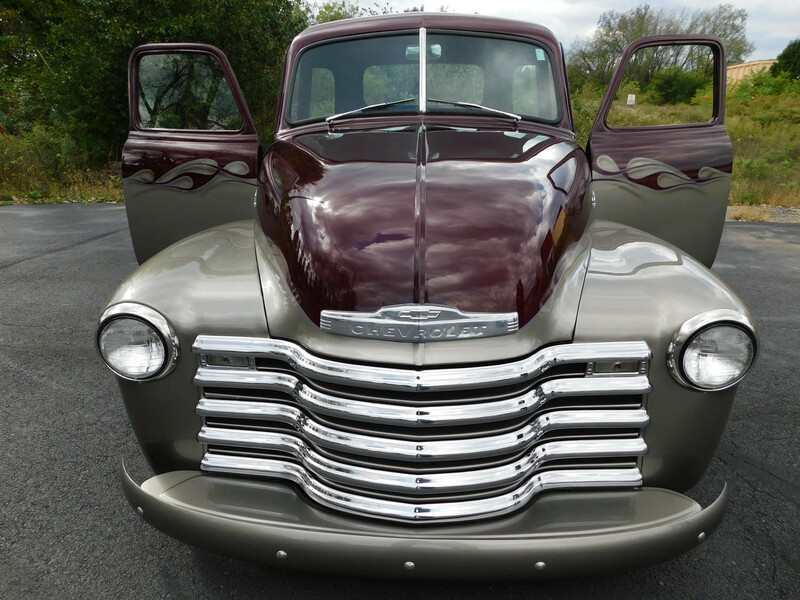 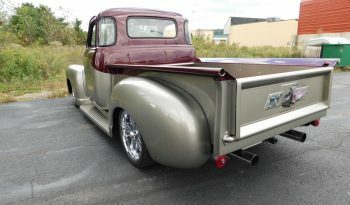 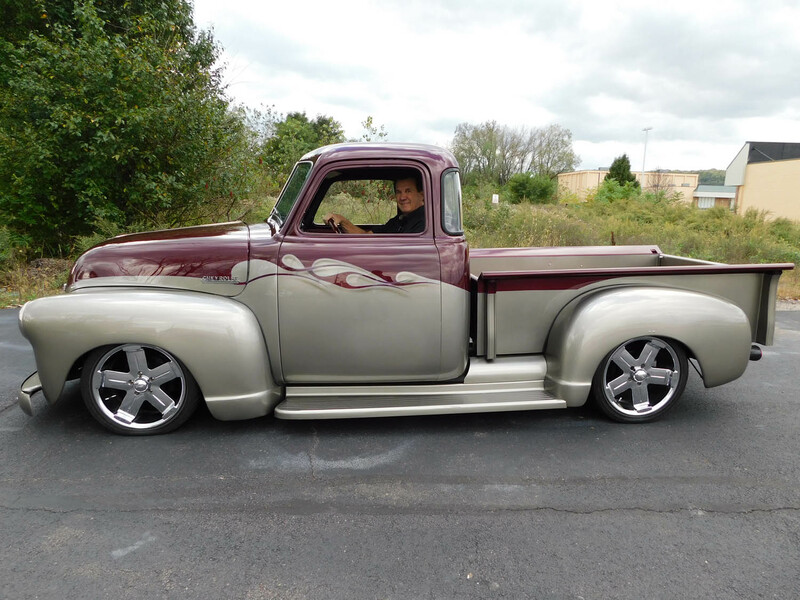 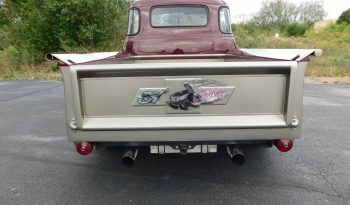 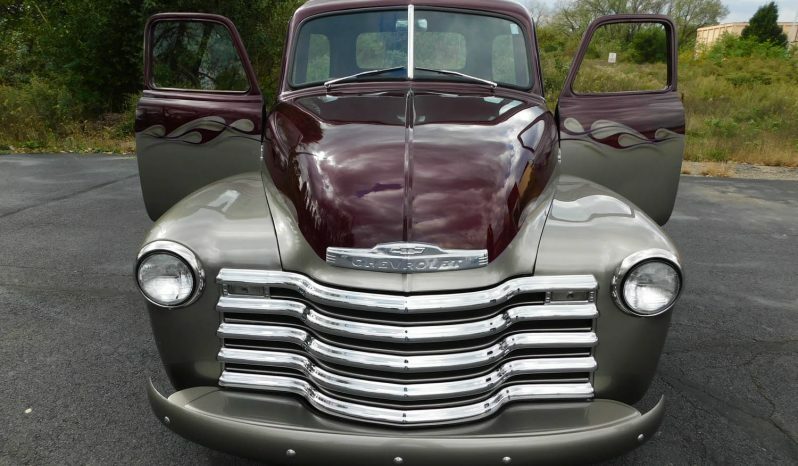 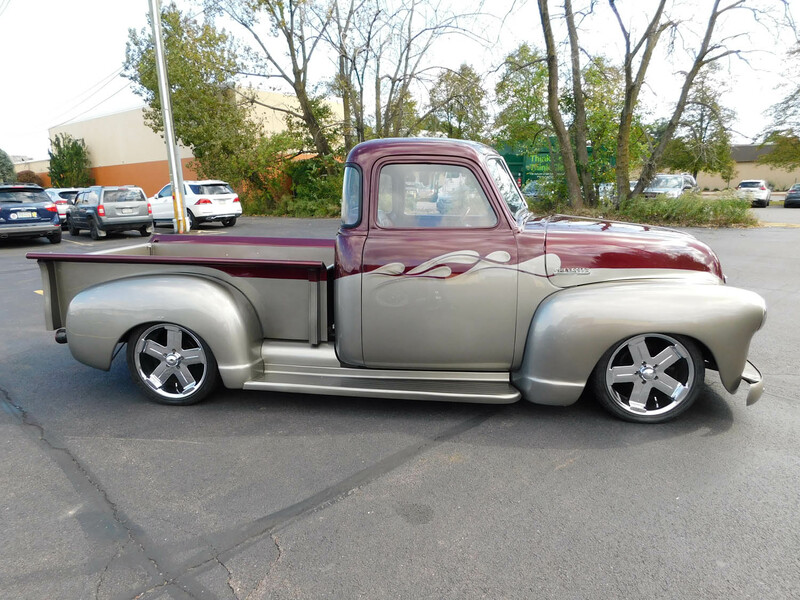 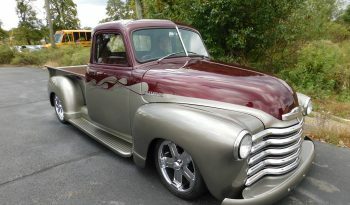 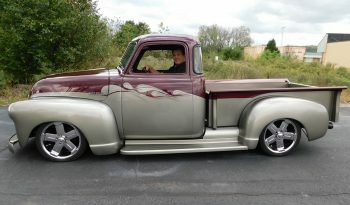 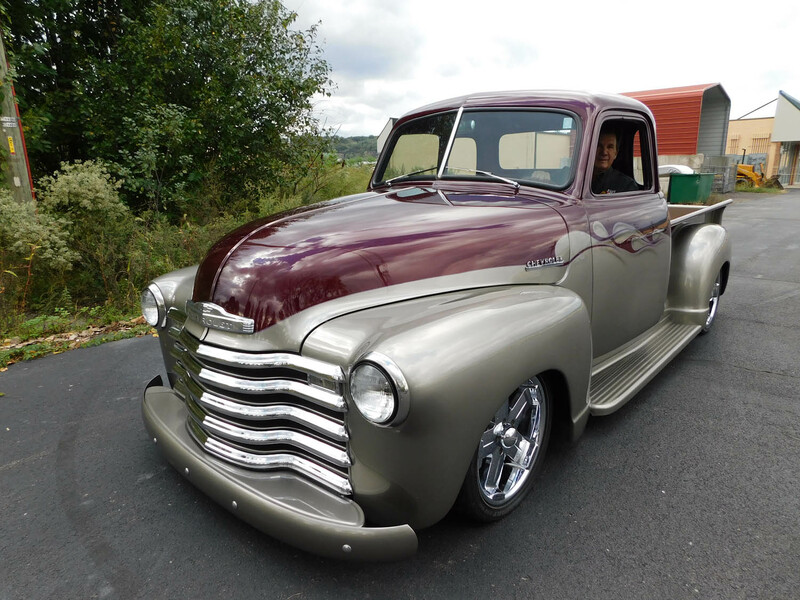 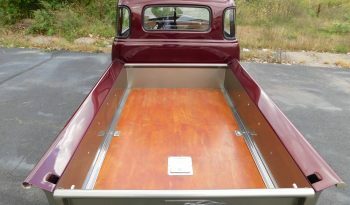 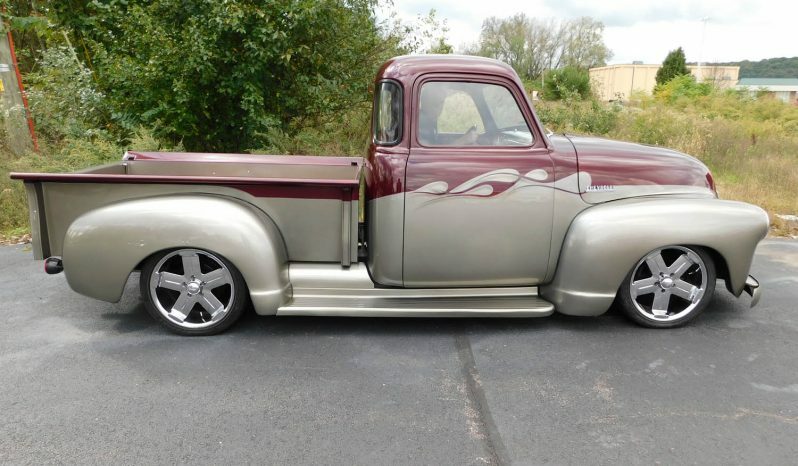 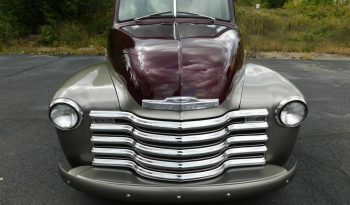 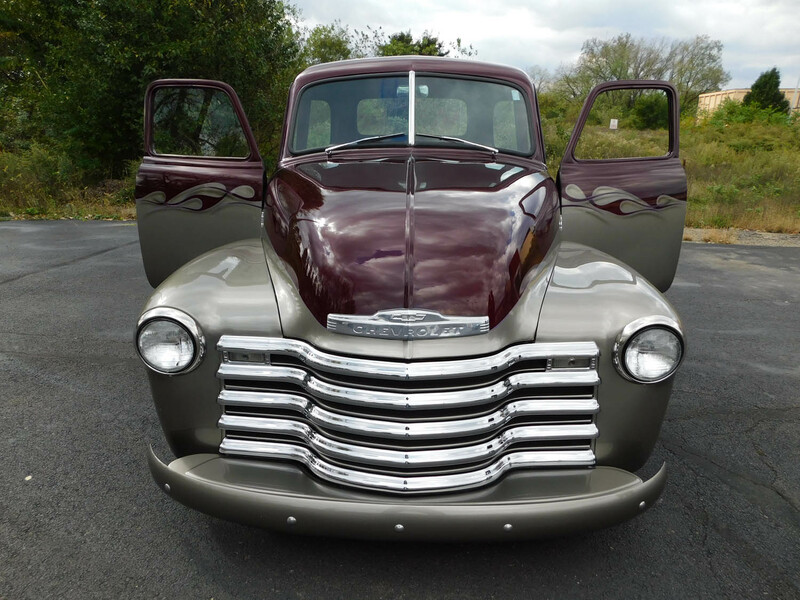 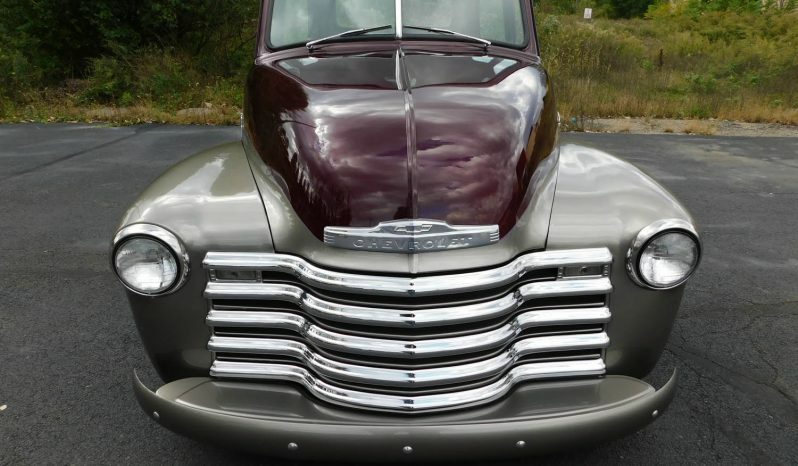 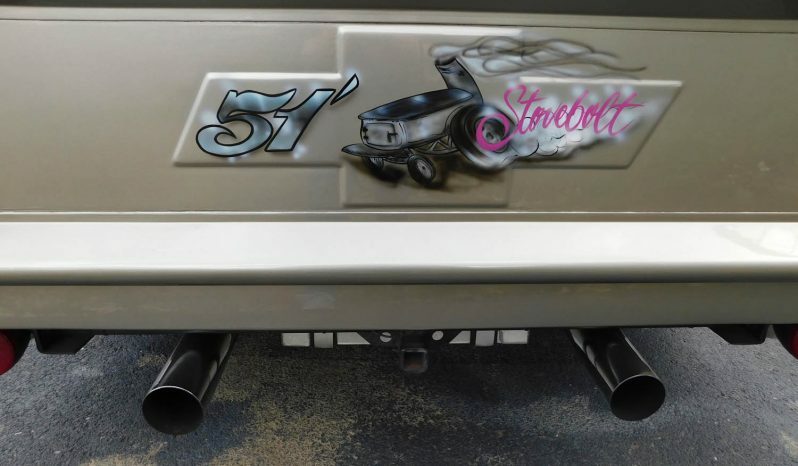 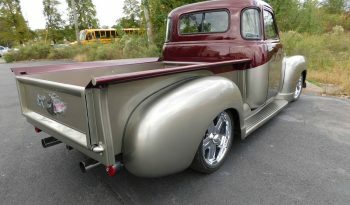 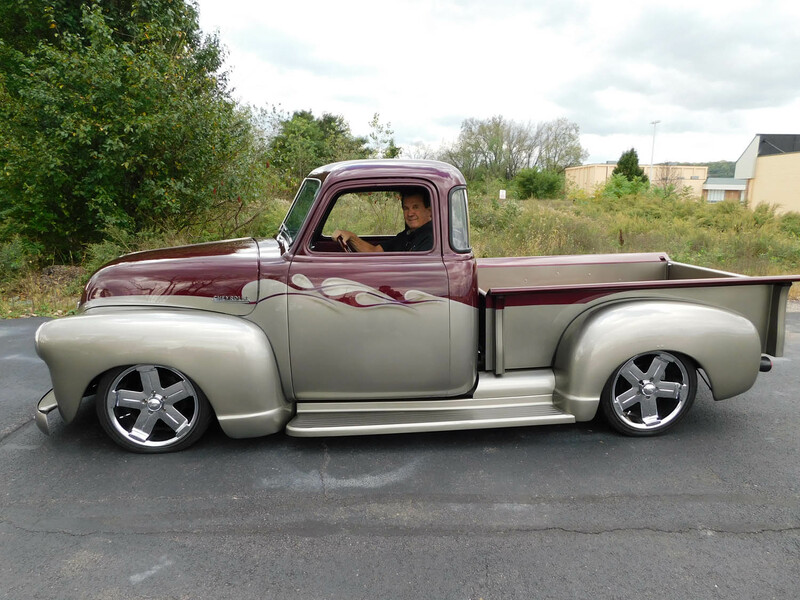 1951 Chevrolet all steel street rod/pro touring show truck. 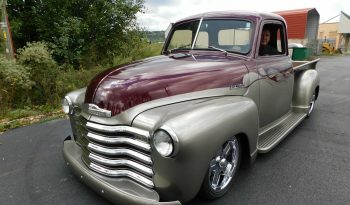 Multi trophy winner. Small block W/700 R4 trans, PS PB and windows. 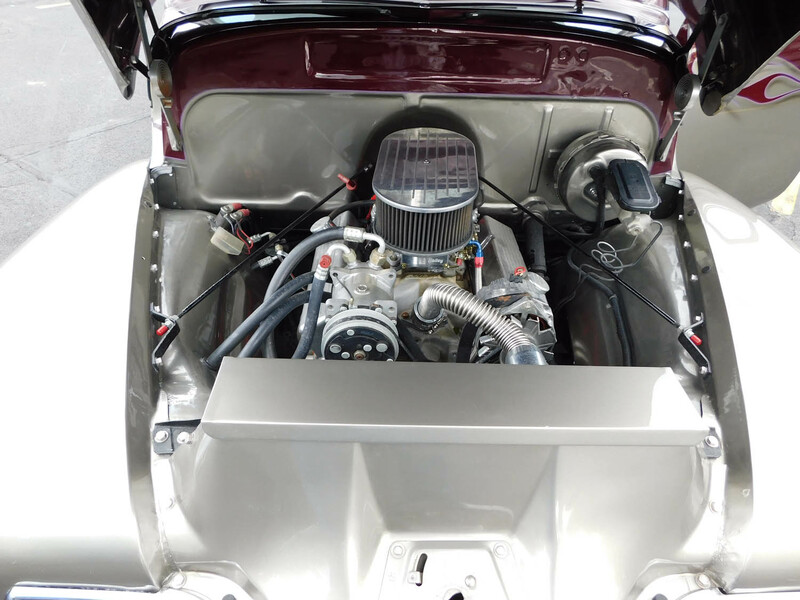 The engine is pro built 305 V8 balanced and bored. 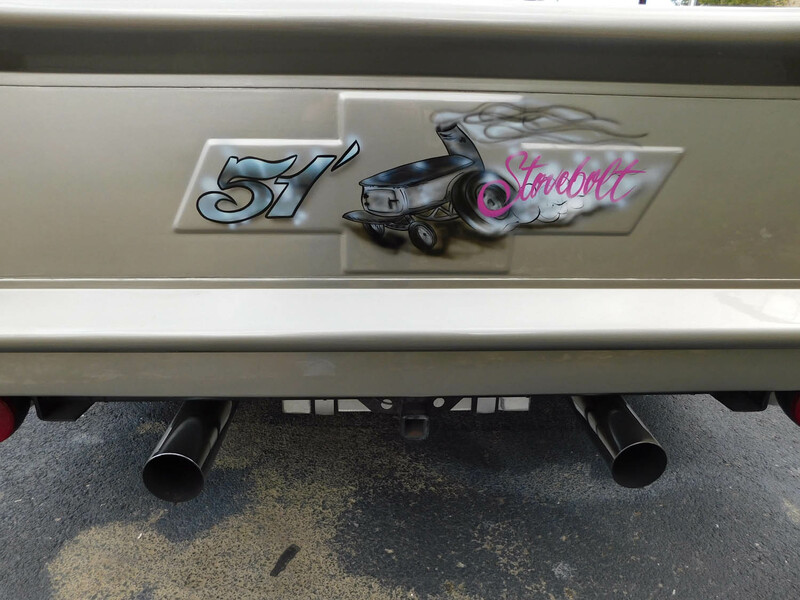 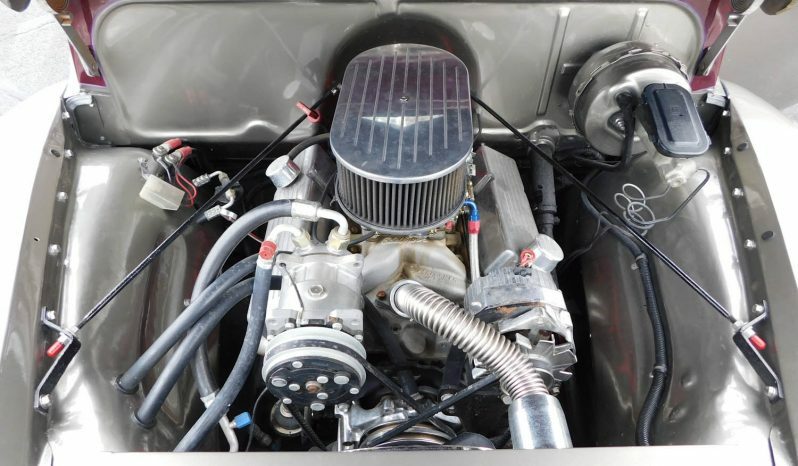 60 W/roller rockets, Edelbrock performer RPM aluminum intake, Holley 600 CFM carburator, alternator and polished headers, all custom interior and a whole lot more. 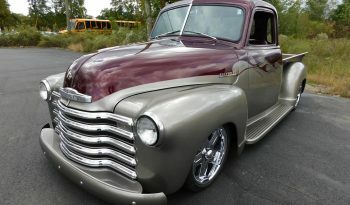 1951 Chevrolet all steel street rod/pro touring show truck. 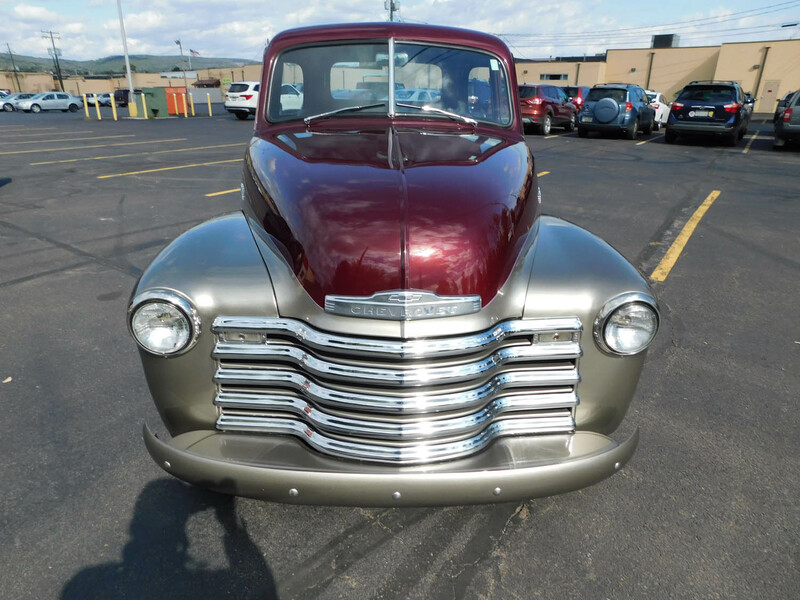 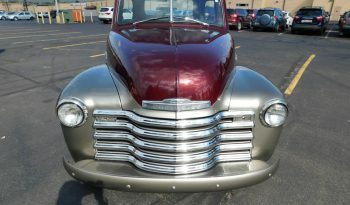 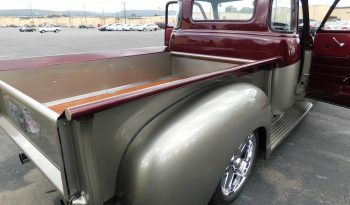 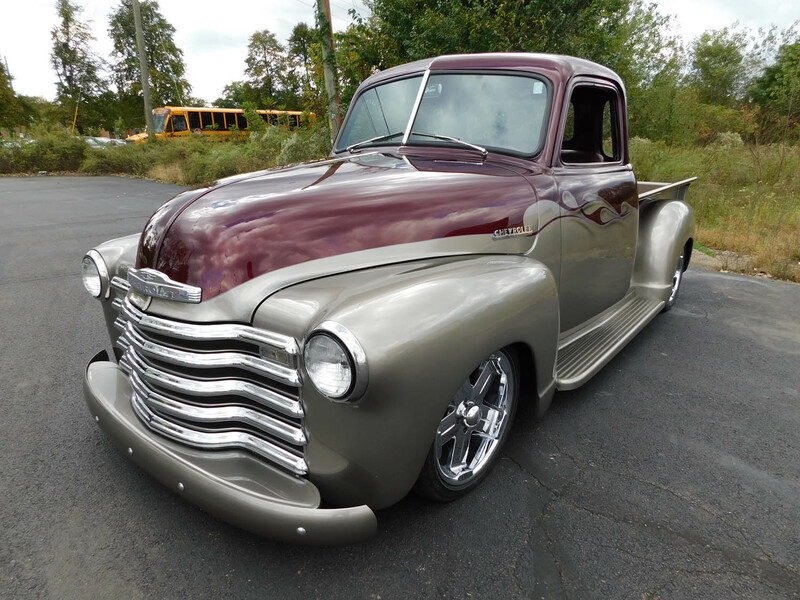 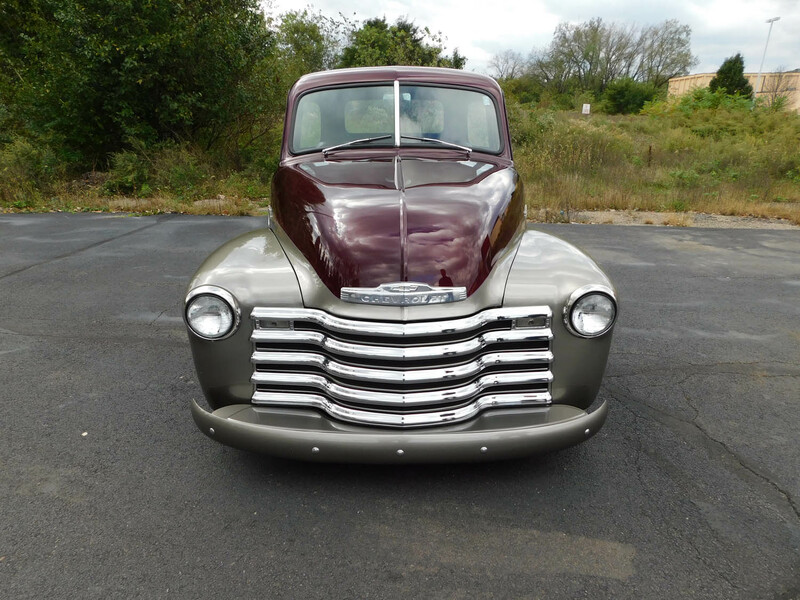 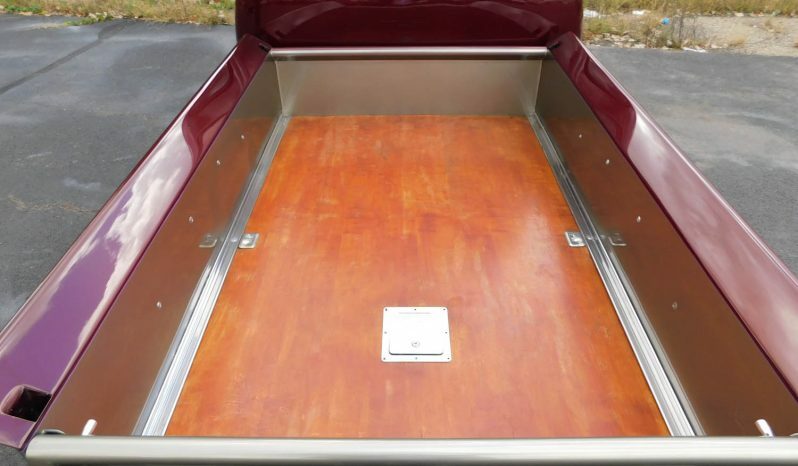 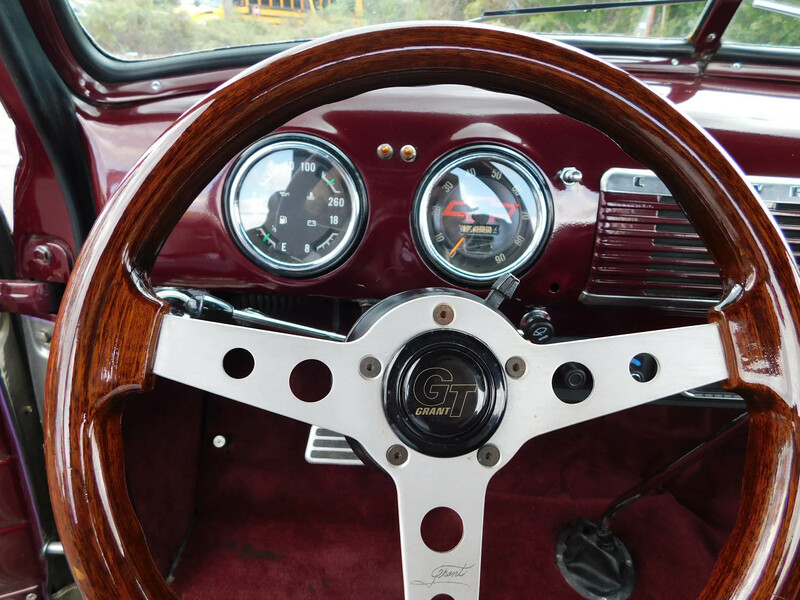 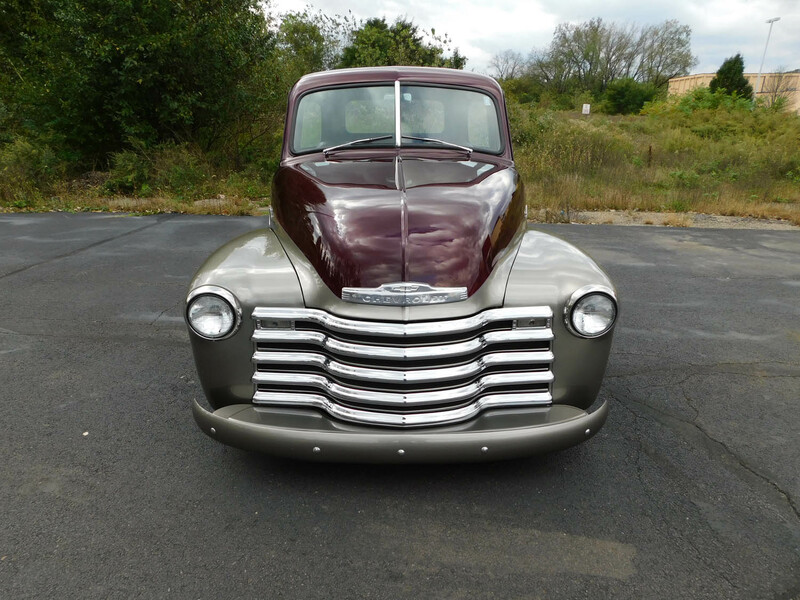 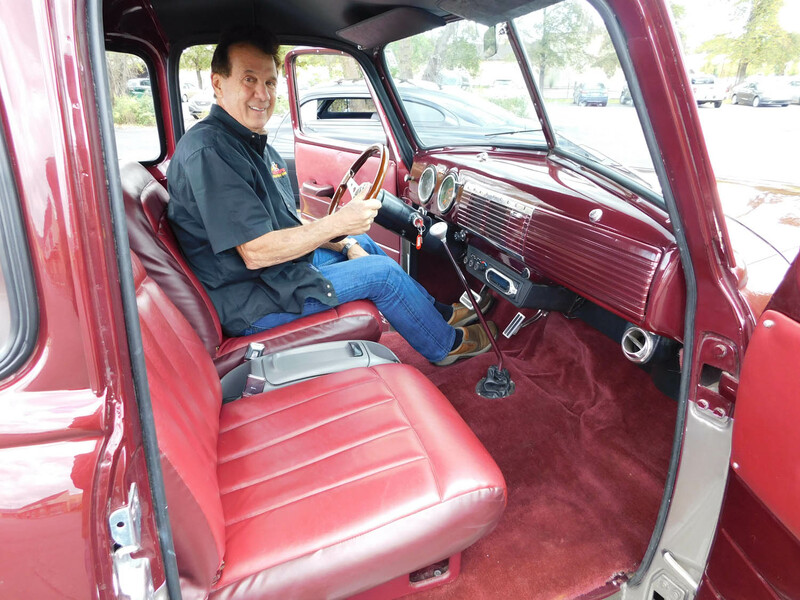 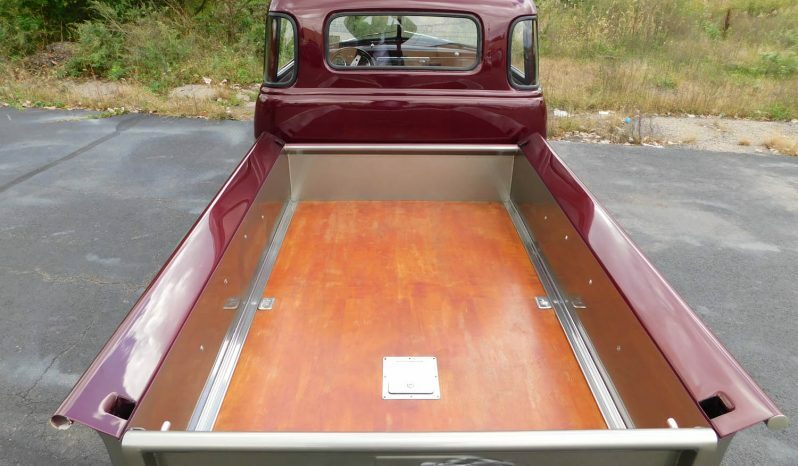 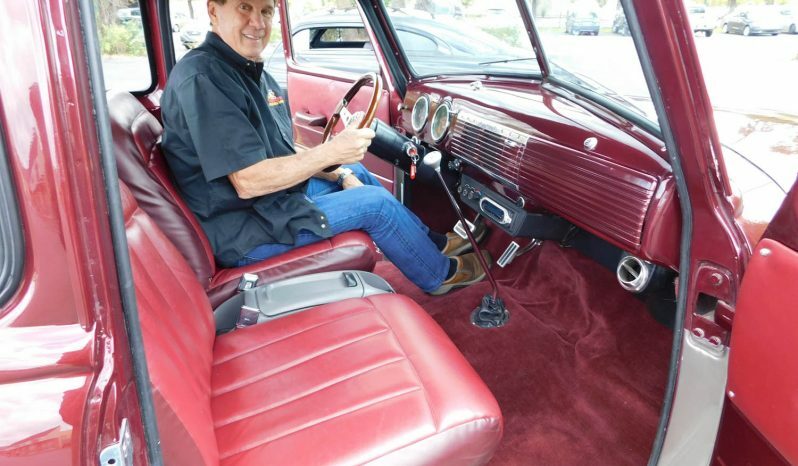 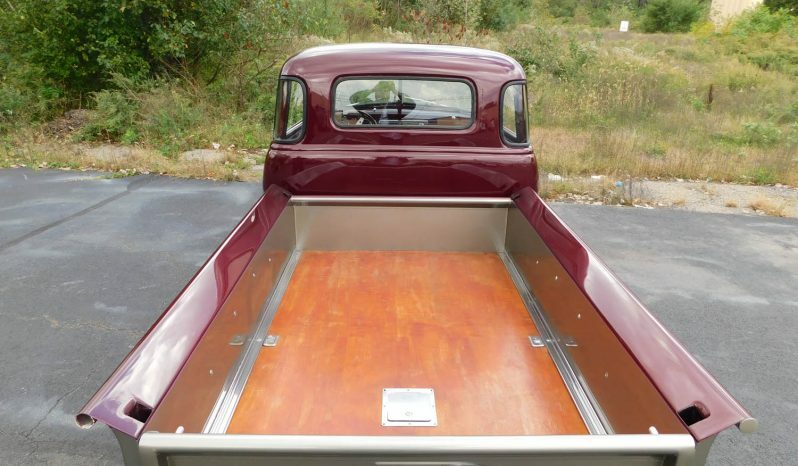 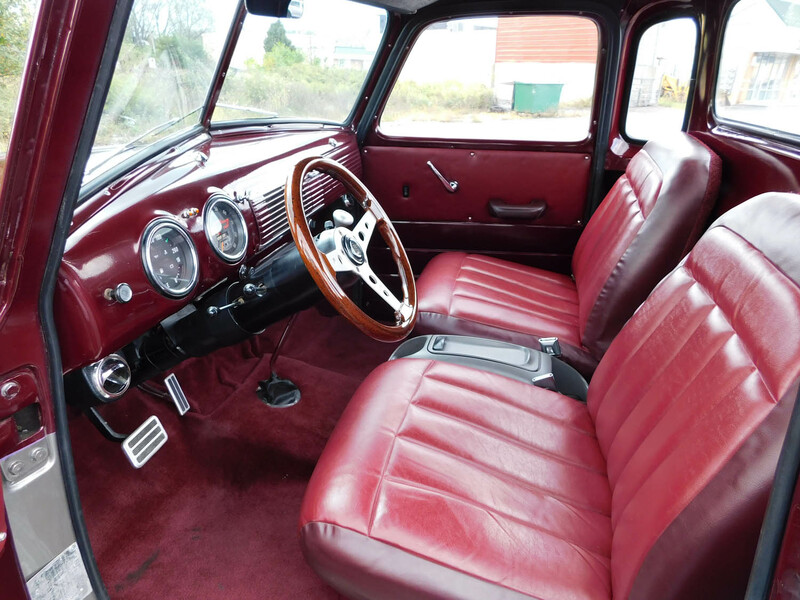 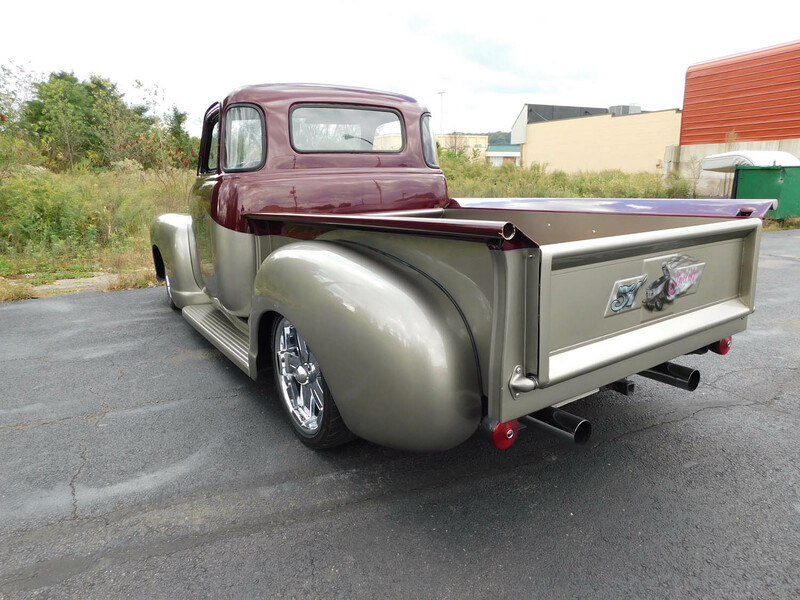 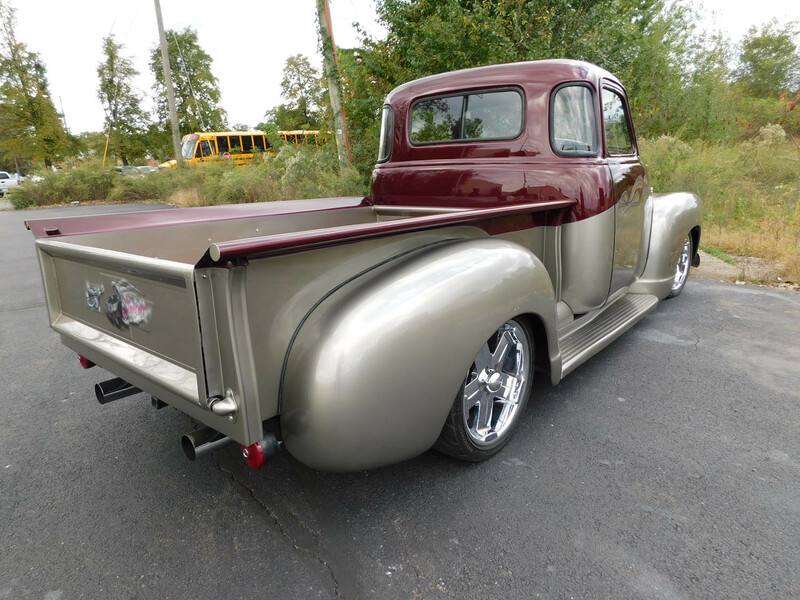 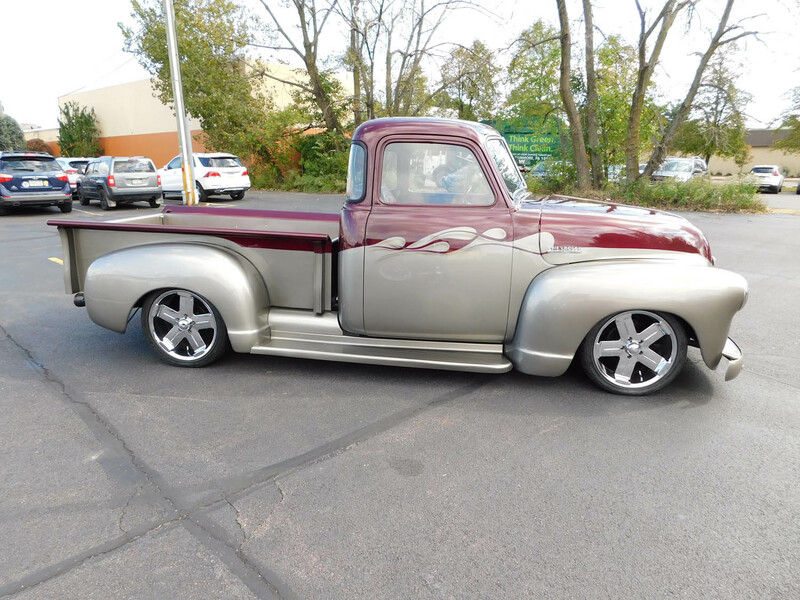 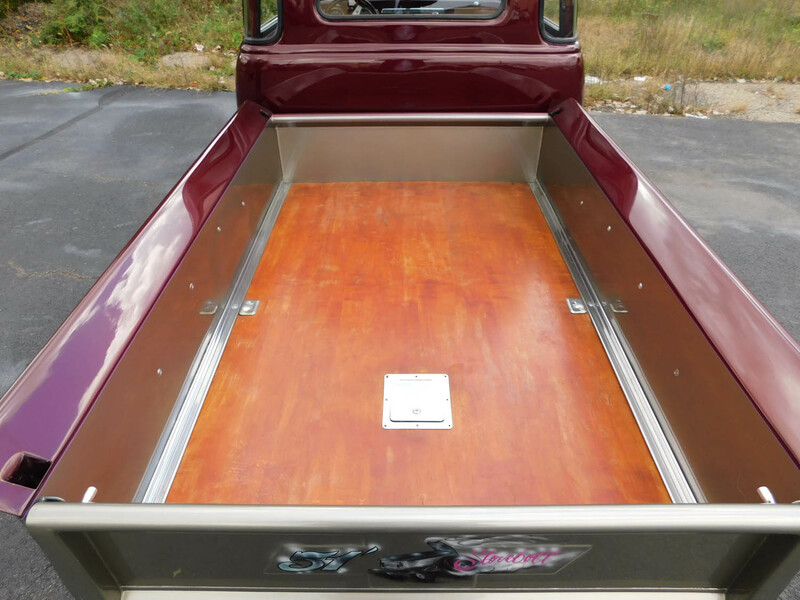 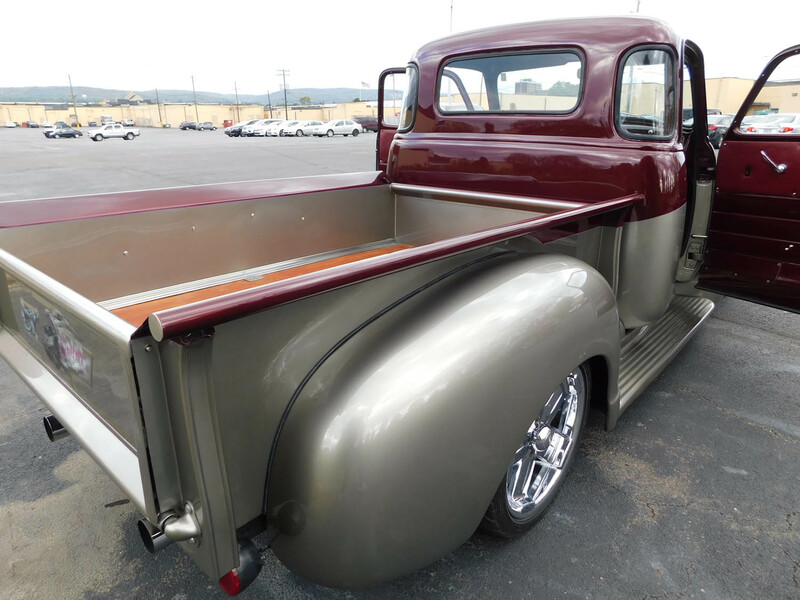 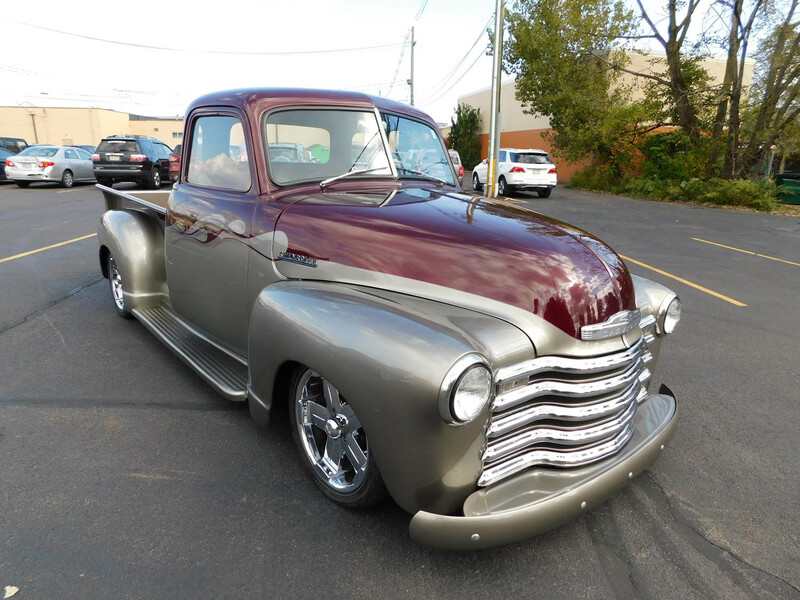 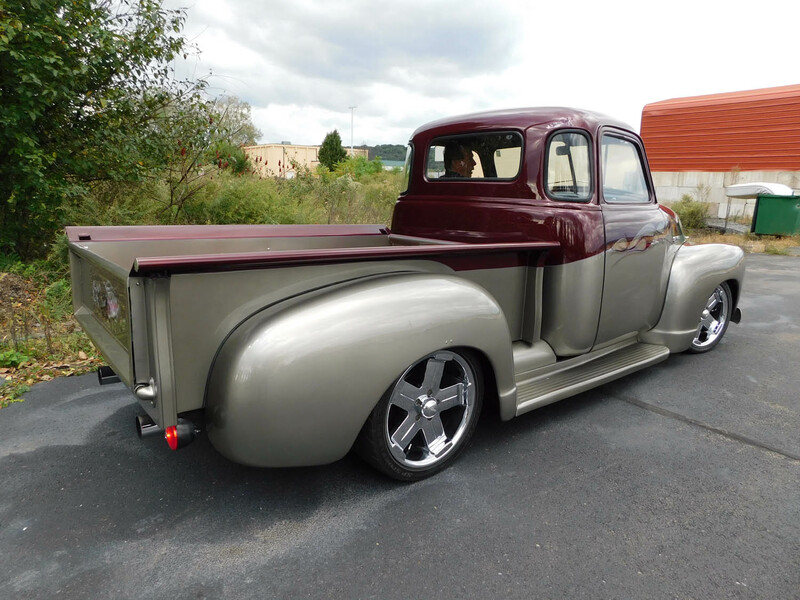 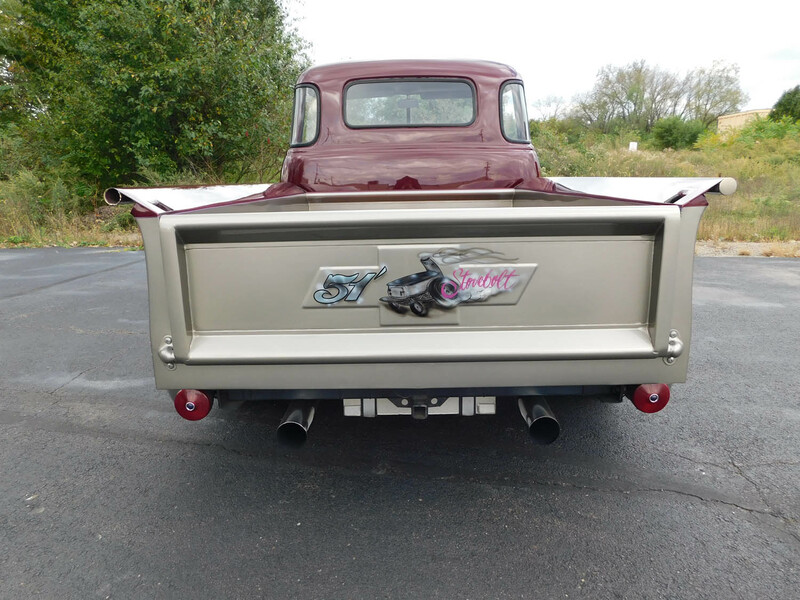 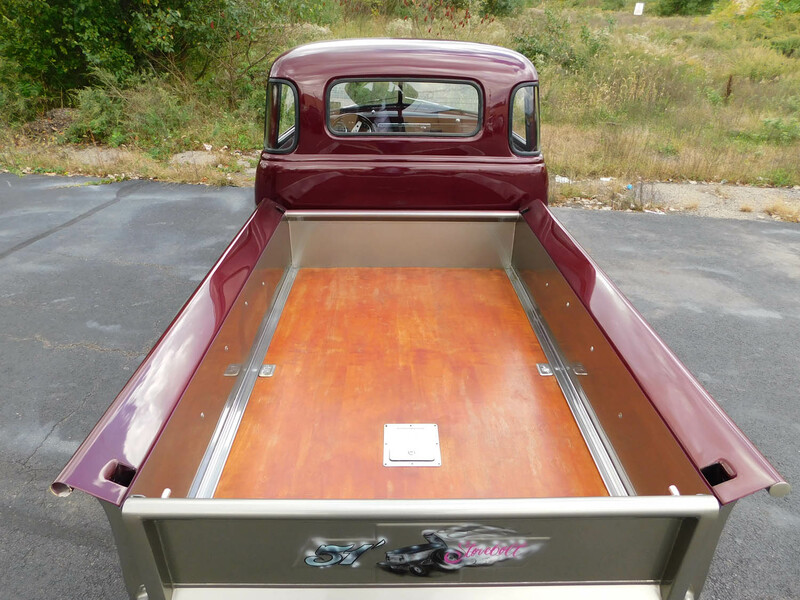 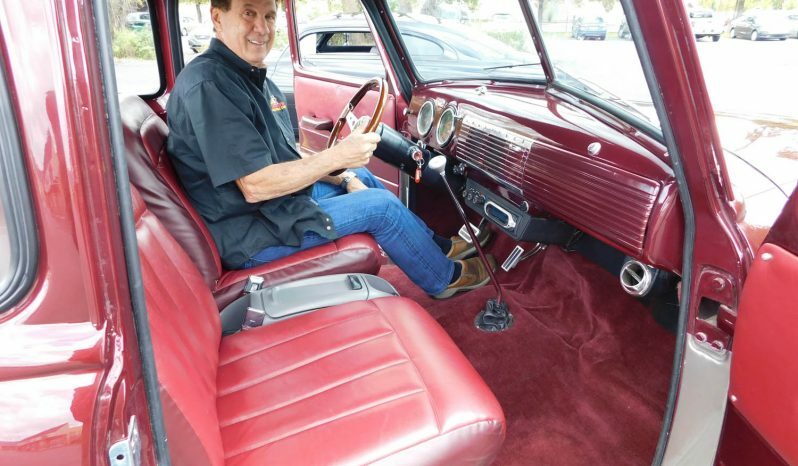 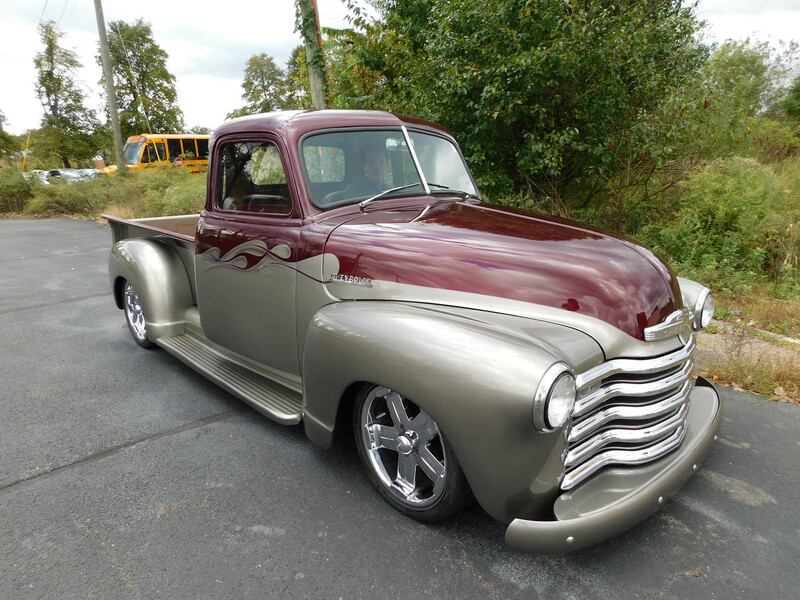 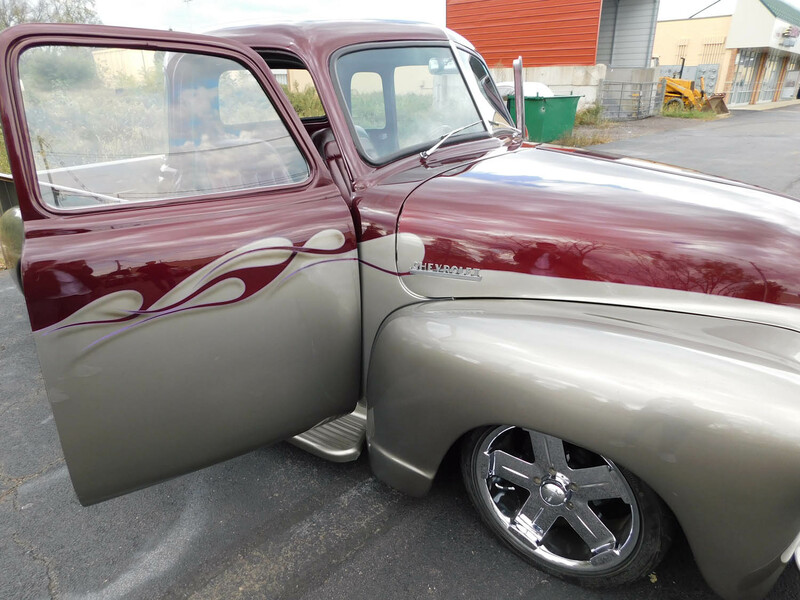 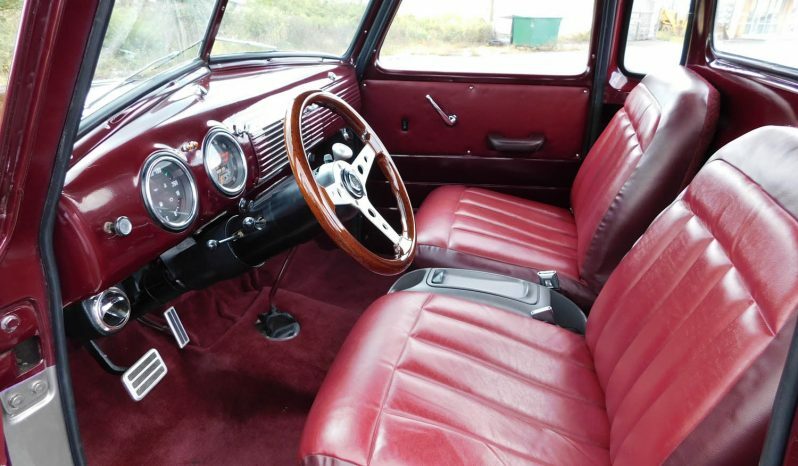 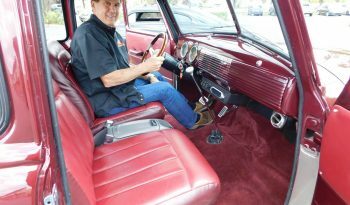 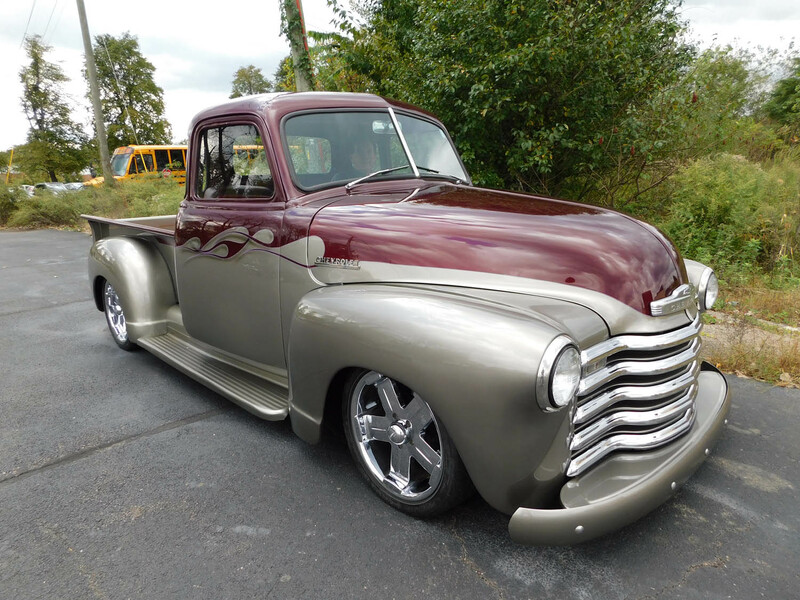 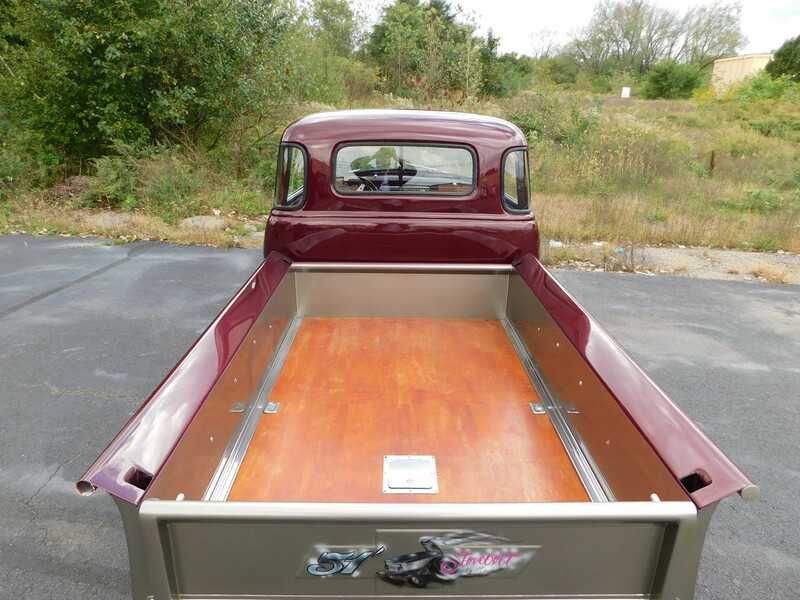 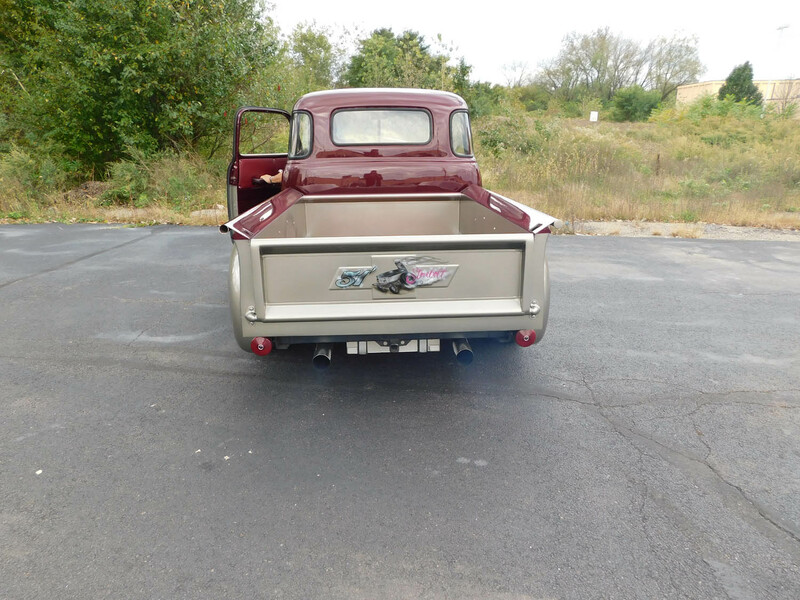 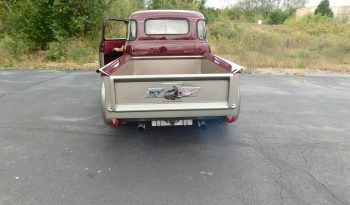 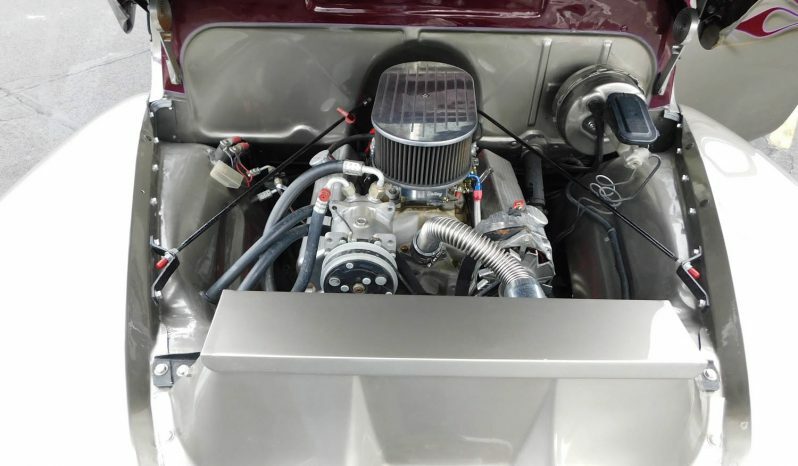 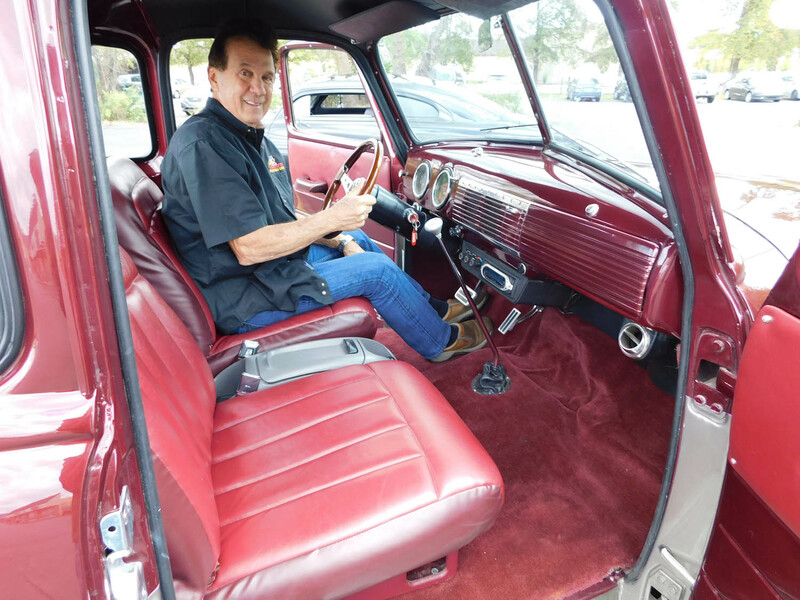 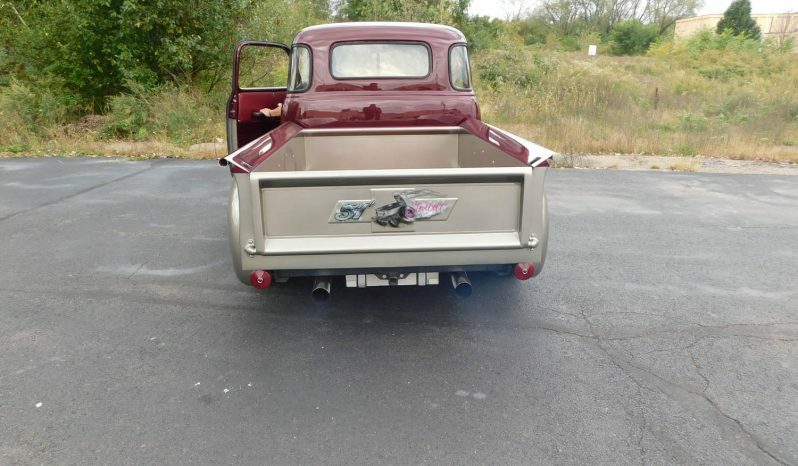 This vehicle has a Chevrolet small block with a 700 R4 transmission, power steering, power brakes, and power windows. 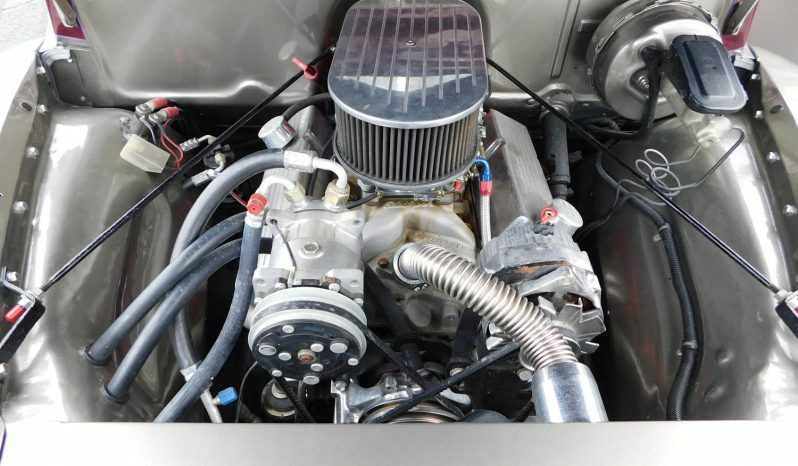 The engine is a professionally built 305 cubic inch V8 balanced and bored .60 over, with roller rockers. 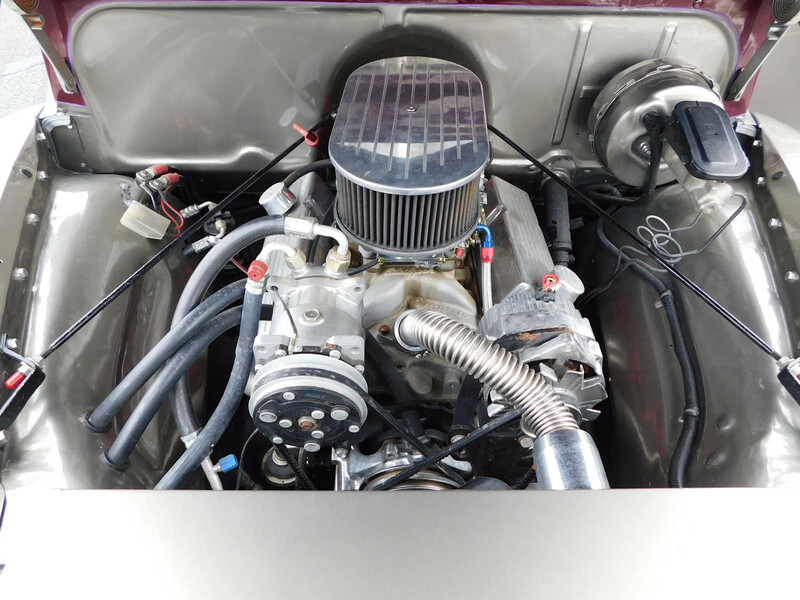 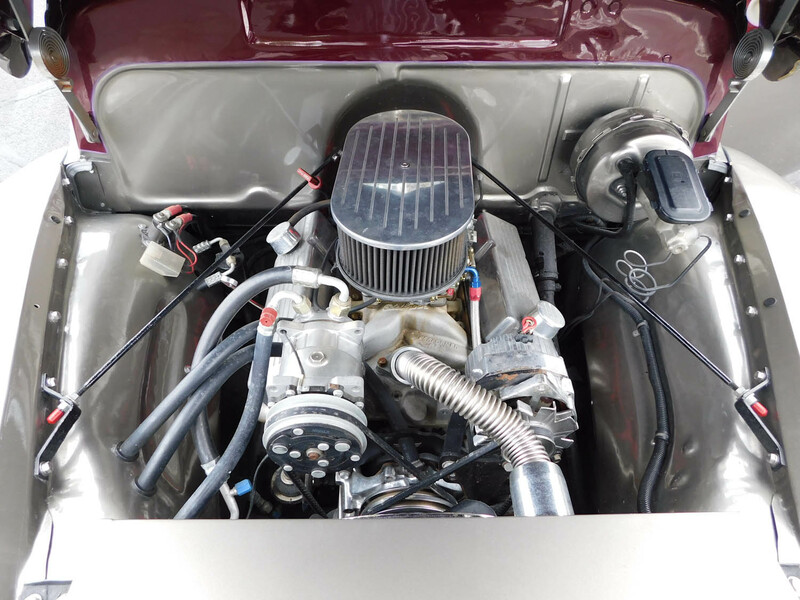 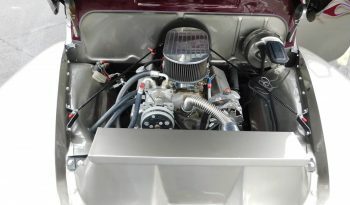 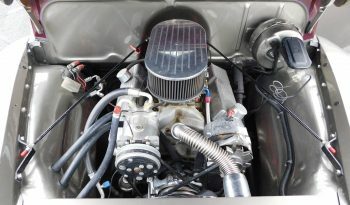 Edelbrock performer RPM aluminum intake, Holley 600 CFM carburetor, accell HEI super coil, chrome AC compressor, alternator and polished headers. 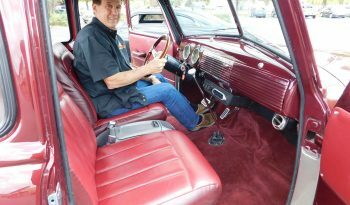 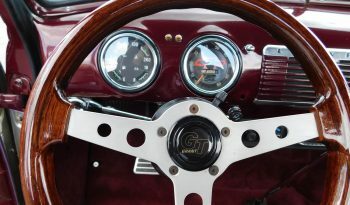 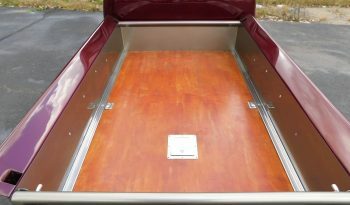 All custom interior accented by the custom stereo.